This is our haven. We love the location. It's tucked away, quiet. I can look out my window and see deer. We don't have anything to worry about. 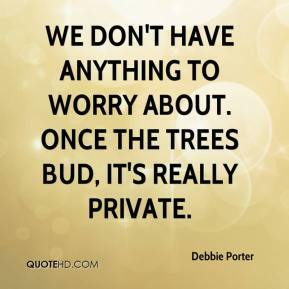 Once the trees bud, it's really private.